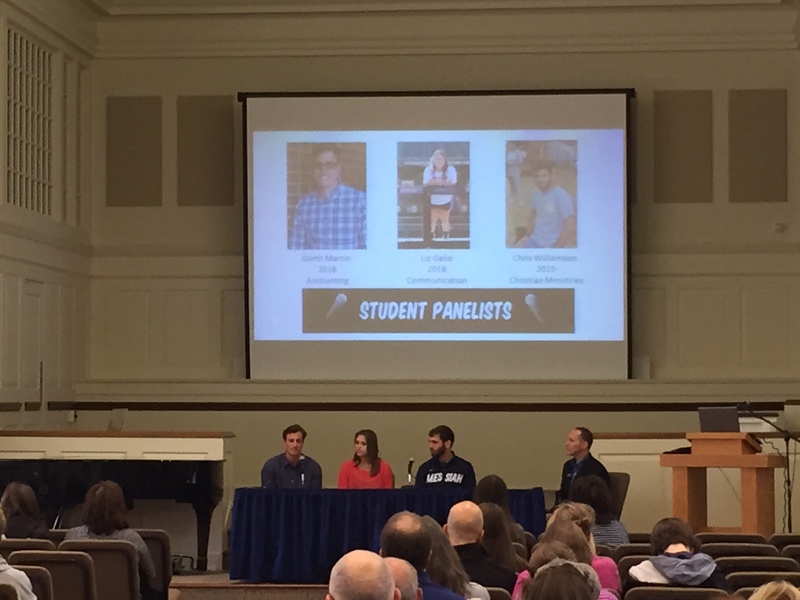 Student panelists at our final Falcon Friday on April 24. Garth Martin, Liz Gallo, and Chris Williamson. Please plan to meet in the Admissions Office at 9:30 am to greet prospective guests for chapel. Dinner with President Phipps – TOMORROW! Tomorrow, Tuesday, April 28, from 6-8 PM please plan to attend the Ambassador dinner at Orchard Hill with President Phipps. Unless you have class during that time, you are expected to attend. Please dress appropriately for dinner with the President and try to avoid t-shirts and shorts. Nice jeans are fine – just no holes or tears. As we look to evaluate the Ambassador program, we have created a survey to help us as we plan for the 2015-2016 academic year. Please complete this survey prior to our dinner at Orchard Hill on April 28. You must complete this brief survey before you will receive your year-end gift. Thanks for helping us out – we really do appreciate your feedback and suggestions! Final Events of the Year! We’ve made it! All of our Admissions events for 2014-2015 are now complete. THANK YOU for all of your time, energy, and efforts that have gone in to all of these events. We could not have done it without you. We look forward to celebrating all of you at Orchard Hill tomorrow from 6:00 – 8:00 pm. Getting ready to give tours at the April 11 Open House! Dinner with President Phipps – Next Week! On Tuesday, April 28 from 6-8 PM please plan to attend the Ambassador dinner at Orchard Hill with President Phipps. Unless you have class during that time, you are expected to attend. Please dress appropriately for dinner with the President and try to avoid t-shirts and shorts. Nice jeans are fine – just no holes or tears. As we look to evaluate the Ambassador program, we have created a survey to help us as we plan for the 2015-2016 academic year. Please complete this survey prior to our dinner at Orchard Hill on April 28. You must complete this brief survey before you will receive your year-end gift Thanks for helping us out – we really do appreciate your feedback and suggestions! We’ve made it! Thursday April 23 is our final Overnight Experience, and Friday April 24 is our final Admissions Event for the 2014-2015 academic year. THANK YOU for all of your time, energy, and efforts that have gone in to all of these events. We could not have done it without you. We look forward to celebrating all of you at Orchard Hill on April 28. Eric Moore leading a tour at the April 11 Open House. On Tuesday, April 28 from 6-8 PM please plan to attend the Ambassador dinner at Orchard Hill with President Phipps. Unless you have class during that time, you are expected to attend. See you there! Open House – THANK YOU! Thank you for all of the time and energy you invested in the Open House this past Saturday! It was a great day for our guests, and it would not have been possible without each of you. We are still in need of overnight hosts for the LAST Overnight Experience! 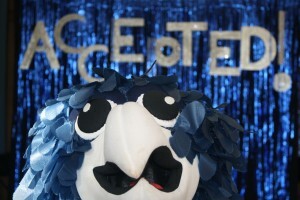 Just a reminder that the last Open House of the year is quickly approaching! 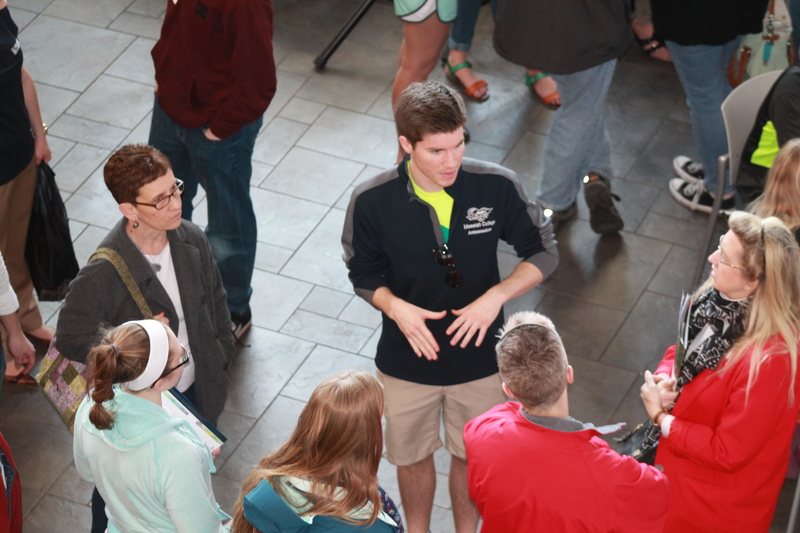 We need more tour guides and about 2-3 more residence hall rooms to show for the day. The doors would need to be unlocked from 11:00 a.m. till about 4:00 p.m. Email ambassadors@messiah.edu if you can give a tour or show your room! Just a reminder that greeting is at 8 a.m. and tour times are at 11:00 a.m., 12:00 p.m., 1:00 p.m., 2:00 p.m., and 2:45 p.m.
We need hosts for 2 more girls for THIS Saturday!!! 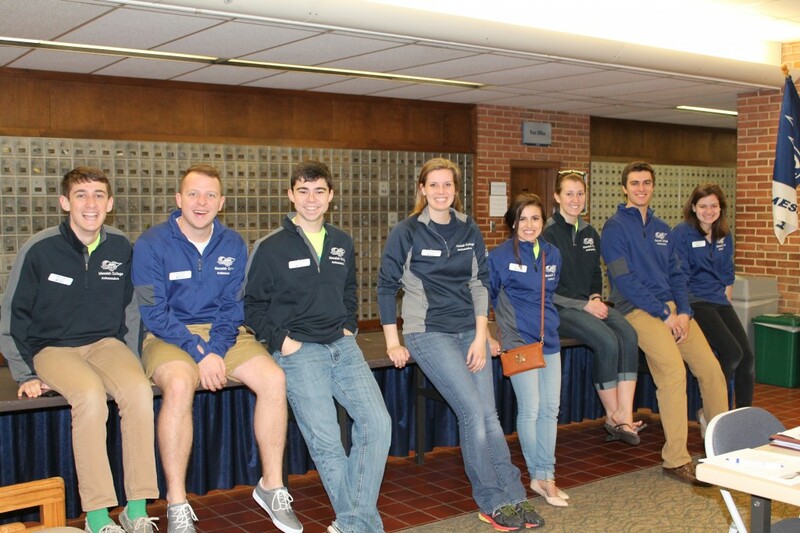 Do you have friends that would be a great addition to the Ambassador program for the 2015-2016 academic year? We are now recruiting new team members for next year and we would love your input! Please forward the link messiah.edu/ambassador-application to any friends that might be interested in joining. We encourage you to email any names of interested friends to ambassadors@messiah.edu. Applications for the 2015-2016 academic year are due on April 7.